I would like to thank BookLook Bloggers for providing me a copy of Rest Assured: A Recovery Plan for Weary Souls to review. All opinions in this post are my own. This post may include affiliate links. Read my disclosure policy here. When was the last time you had rest? True rest that allows you to feel relaxed and ready for your next challenge (or ready to referee the next argument between your children)? 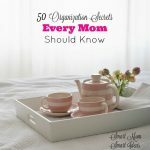 Do you feel you are an overworked, over busy, overscheduled, and overwhelmed mom? 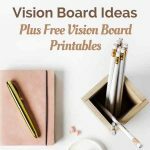 In Rest Assured: A Recovery Plan for Weary Souls, Vicki Courtney will help you understand why you always feel so busy and overwhelmed and offer you practical ideas to stop the overwhelm and get the rest you need. In Rest Assured: A Recovery Plan for Weary Souls, you will find that you are not alone in your feelings of overwhelm and your desire for rest. You will learn why you don’t need to feel “busyness” is something to be prized and desired. You will also learn how to disconnect from all your devices that are distracting you and keeping you from rest, why and how to create true leisure time. Vicki will also show you how we exhaust ourselves pursuing happiness or what we think will make us happy. She will give you a better plan to be happy. I enjoyed reading this book and found I connected with many of the examples Vicki shared. Her advice is practical and things I could do even in with my busy schedule. If you feel overwhelmed and tired, Rest Assured: A Recovery Plan for Weary Souls would be a great book for you. The Fringe Hours – learn how to make the most of the in-between hours. How do you take time for rest? What is your favorite rest-activity? Do you currently have time every day or at least once a week just for you to rest? Hi Jenny, thanks for featuring my post. Hi, love it too. I need more rest in Him. Thanks for sharing on the #LMMLinkup. Mary, you are right. We can be stressed and overwhelmed, but still have rest in Him. Great book list! I’ll have to check these out. Thanks so much for the recommendation and for linking through Raising Homemakers. I find rest is spending time with my hubby. Every Thursday night after B goes to bed we set aside for us. We turn off our devices and just talk. My primary love language is quality time so for me getting some adult time to talk about what’s going on is truly restful! I wish my children would go to sleep as easily as they did when they were little. Now they are a little older and they all have excuses to stay awake. Enjoying time with your husband is a great way to rest and relax. Thank you for linking up at Family Joy Blog Link Up Party this week. I am so sorry for your lost. I hope you get the rest you need soon. Lindsey, I am sorry to hear about your family loss. I do you hope you will be able to rest soon. Thank you for sharing the post with others. 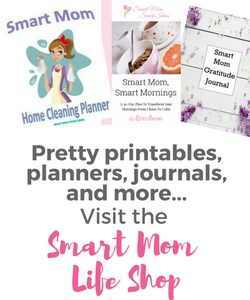 Sounds like an amazing book for any mom!! Thank you for this! 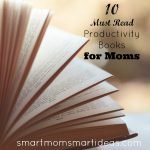 If you are a busy mom, you would enjoy the book. It had many helpful tips to reduce stress and rest. Great recommendation! Thanks for sharing! Definitely something I could use! I must take a look at this book. I definitely need a rest. Corinne, this book will also help you add rest to every day and make it a part of your life so you don’t feel overwhelmed and stressed all the time. Sounds like a book for us all or at least me. LOL! The book was absolutely for me. I found so much wisdom in Vicki’s words and she was so easy to relate to.